Catching up with some friends a couple of weeks ago they suggested we make gyoza. Well ever since then, we have had gyoza on the mind! 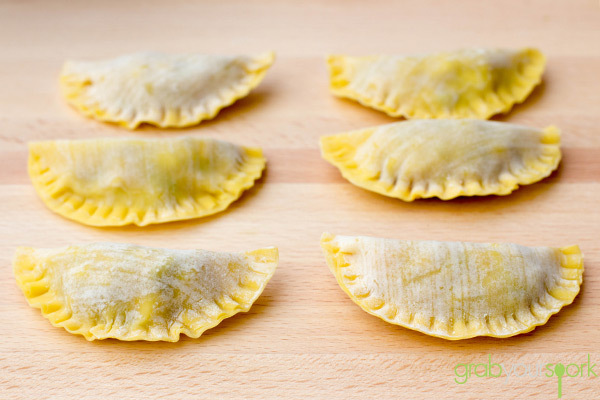 Gyoza, are a Japanese-style dumpling typically filled with ground meat and / or vegetable filling, wrapped into a wrapper then sealed pressing the edges together or crimping. 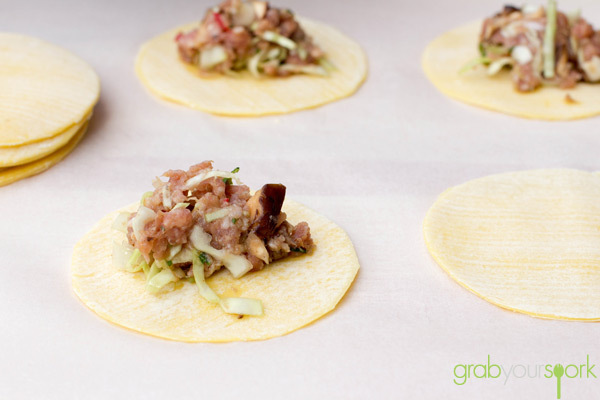 These juicy little parcels are so delicious given their prominent flavours are typically pork mince, cabbage, sesame oil, garlic and ginger! 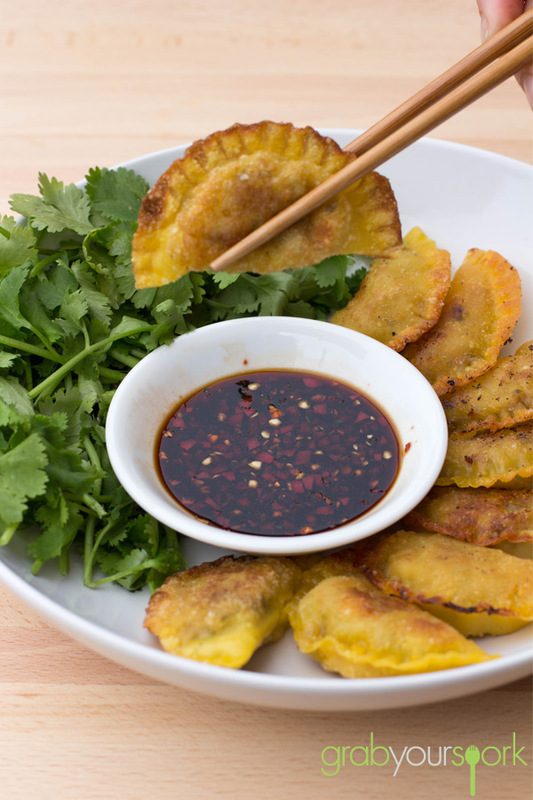 To finish the dumplings are pan fried giving them an added texture and served with soy sauce – seriously you will be devouring these as long as your don’t burn your mouth! 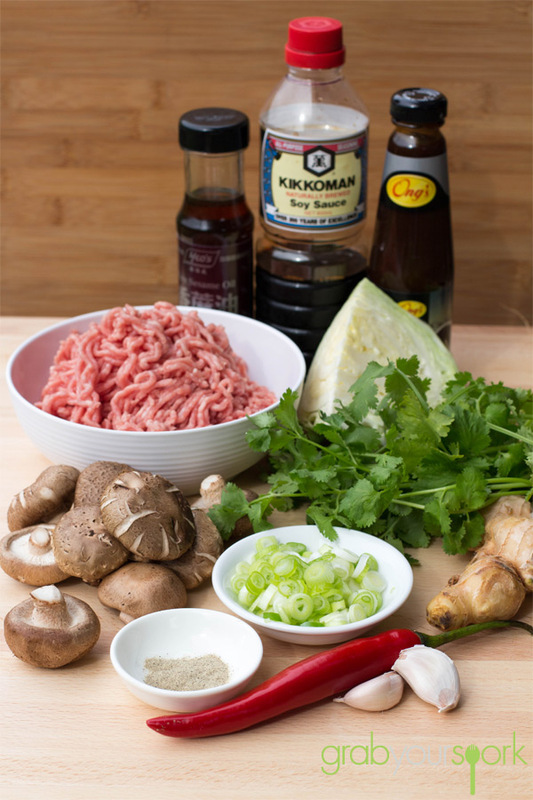 To make our pork gyoza recipe we used the traditional base of pork mince, cabbage, sesame oil, garlic and ginger then added a few of our own favourite ingredients including – coriander, chilli, shitake mushrooms, soy sauce and hoisin sauce. 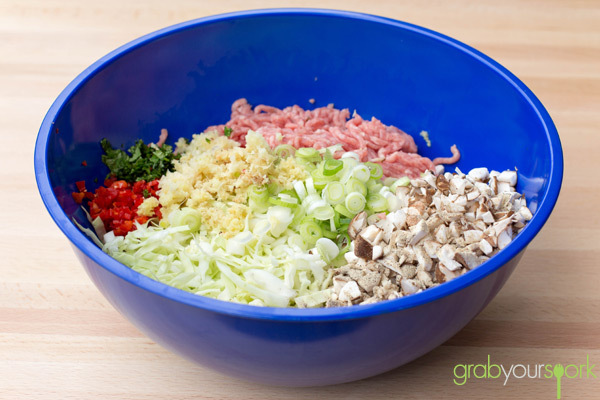 Now getting all the ingredients mixed together was the easy bit. It does take some time to make the dumplings if you haven’t made them before. And unfortunately Brooke didn’t have much luck with the pinching technique and opted to press the edges together with a fork which still gives it a nice edge. To cook simply pan fry them in a heated pan with some vegetable oil for 2 -3 minutes. This will give the gyoza a lovely golden colour. Don’t stress if your gyoza do stick a little as this is where their other name originates from – potstickers – given their tendency to stick to the pan! You may need to add a little more oil and they should come free. If one burst though consider it a taste tester! We served our pork gyoza with soy sauce and some fresh chilli and they were delicious. I can’t wait to experiment with some other combinations! 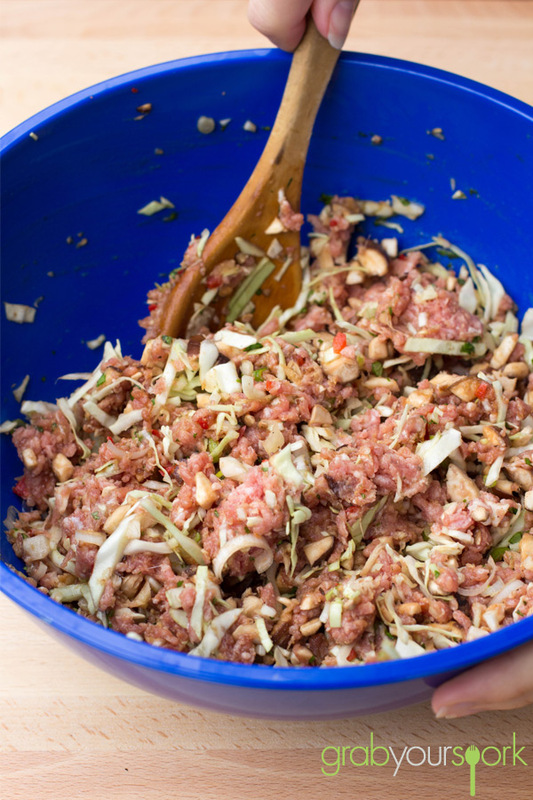 Gyoza made with pork mince, cabbage, sesame oil, garlic and ginger then added a few of our own favourite ingredients including – coriander, chilli, shitake mushrooms, soy sauce and hoisin sauce. 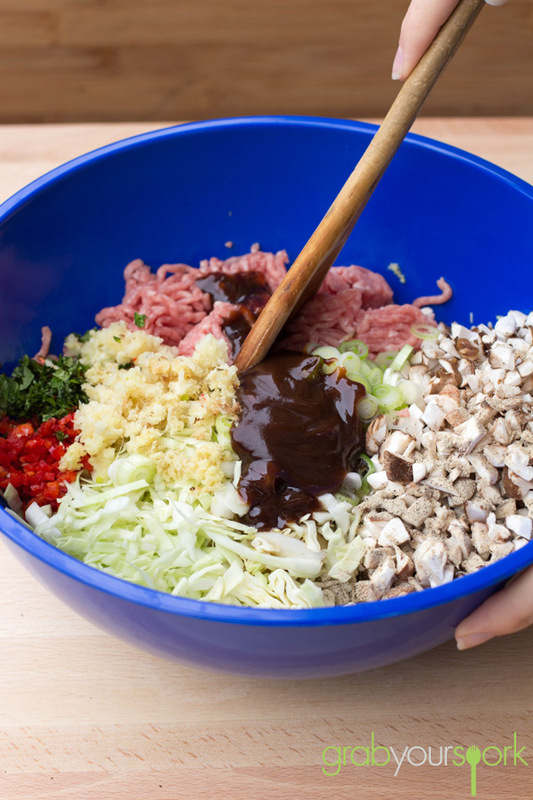 In a large bowl combine mince, cabbage, mushrooms, garlic, ginger, spring onions, chilli, coriander, pepper and sauces. Mix well. To assemble place 1 tsp of the mixture into the centre of each wrapper. Using your finger, rub the edge of the wrappers with a little water. Fold the dough over the filling to create a half moon. Pinch the edges together or use a fork to seal. Heat oil in a large pan over a medium heat. Add the gyoza and cook until golden and crispy.